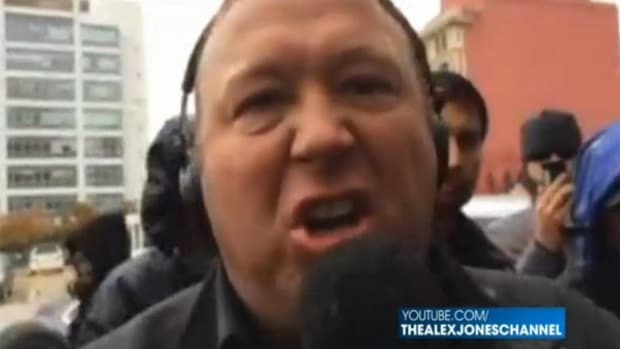 Alex Jones perpetuated a bizarre conspiracy theory put forth by David Ickes suggesting that shape-shifting lizard people from another planet control world events here on Earth. 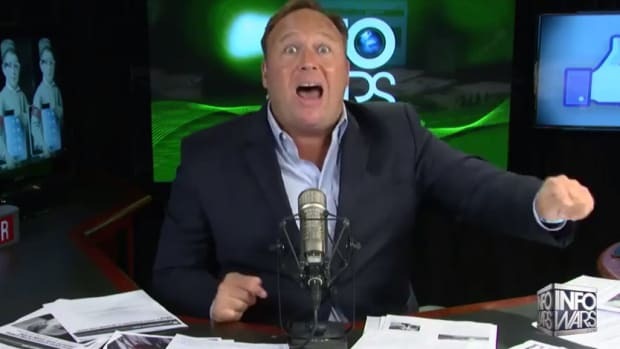 In order to illustrate how the lizard people are behind Obamacare, Jones donned a "Gorn" from Star Trek mask and went off on a wildly incomprehensible rant about the healthcare law. 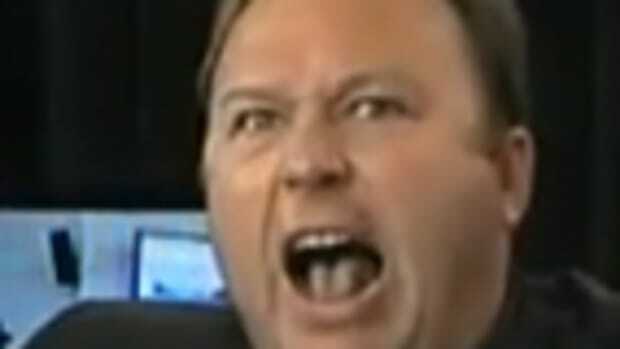 Alex Jones perpetuated a bizarre conspiracy theory put forth by David Ickes suggesting that shape-shifting lizard people from another planet control world events here on Earth. 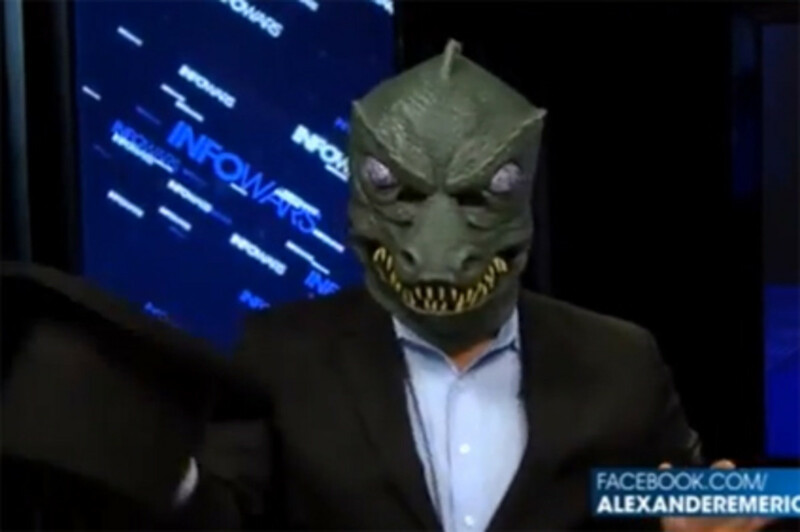 In order to illustrate how the lizard people are behind Obamacare, Jones donned a "Gorn" mask from Star Trek and went off on a wildly incomprehensible rant about the healthcare law. 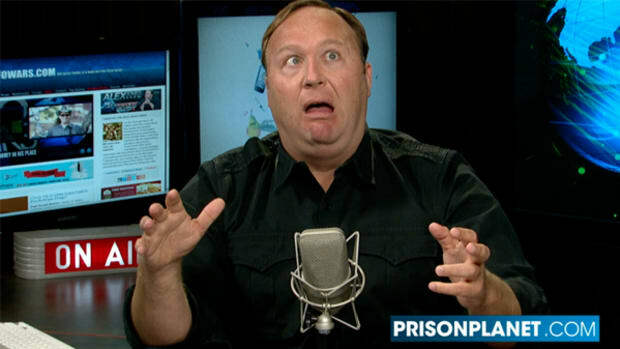 Included in the segment, Jones incoherently discussed such topics as fluoridated water, Hitler and Stalin. Later, Jones (or the Lizard Person) welcomed "Obamacare" into the studio -- a guy in a skeleton mask and white "Obamacare" t-shirt who asks Lizard Jones, "How are your herpes? How is your hernia? How is your homosexuality? 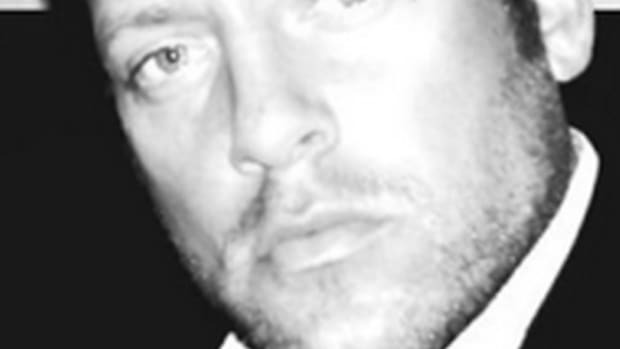 I am watching you." It gets particularly insane at timecode 1:12. 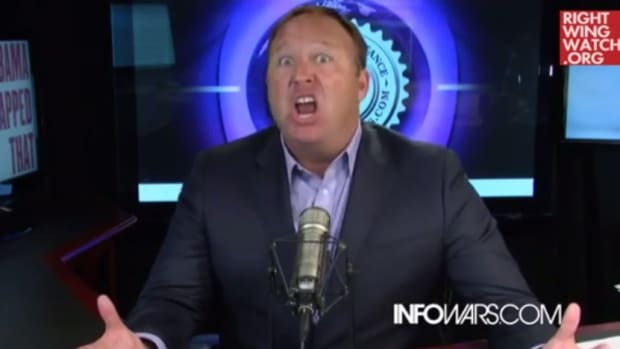 I&apos;ve listened to a lot of Alex Jones and this is easily the craziest thing he&apos;s ever done. 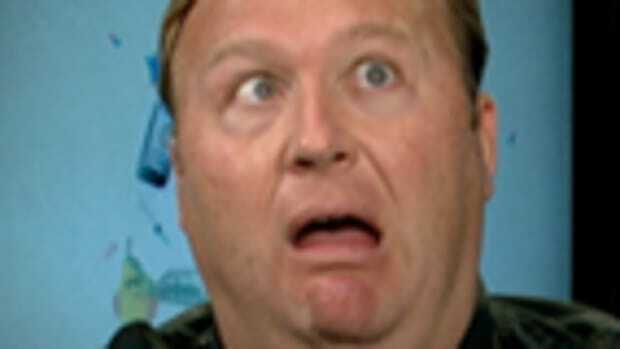 Millions of people believe everything that&apos;s crapped out of Jones&apos; mouth. Including the Lizard People nonsense. Sleep tight.